Rarely do members know stuff going on. We’ve successfully confused people in our pews. Trying to be clever and busy, our announcements aren’t absorbed. We have regular groups, but the average person doesn’t remember the cool new name let alone the reason for going. We need to simplify! Name a group something obvious, have them meet consistently in the same place, at the same time, and talk about the benefits of going (not a long description of what happens). Overheard at a recent focus group: “I know there’s a bunch of small groups but I’m not sure why I’d go”. They find it annoying how hard it is to find church information. 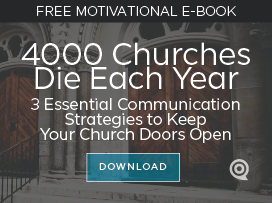 Church leaders say they want to engage their congregation and get them involved. But most of our church websites are complicated, disorganized, and complex. 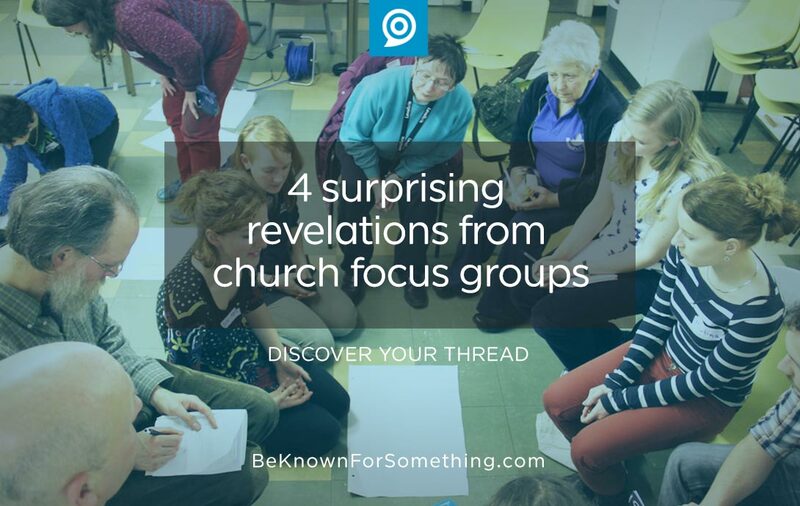 Focus groups mention that they don’t know where to look for general church information and events. Simplify your website so that the basics are found (i.e. events, groups, service times, how to get involved). Overheard at a recent focus group: “Ironically, on our church website, it’s easy to signup for online giving but impossible to find out what events are happening for me”. The community thinks the church is a closed group. We also talk to a community group with no connection to the church we’re helping. These people are busy and find fellowship in lots of different ways. When the conversation turns to “church”, they quiet down. Most know religious people meet regularly and listen to the Bible. Many might go to try it if asked but they’re often unsure when the services are, if they’re allowed to go, and if there’s any reason to go and give up their valuable time. We must be clearer about giving them a reason to attend something. Anything. They need to understand we’re not different from them (we simply follow in Jesus’ steps to figure out our lives). Overheard at a recent focus group: “I’m so busy, it’s hard to give up family time to go and sit while someone reads the bible to me”. Millennials want to do more with other Generations. Over and over, we hear older people say that they wished “young people” would become more involved in the church. At the same time, the 20-somethings talk about wanting to talk and participate with other generational groups in the church. They want to serve on mission trips with them, pray with them, have breakfast with them. We need to plan those opportunities that will solidify our generational relationships. Not so the old can teach the young, but to have them walk and learn together. Overheard at a recent focus group: “I wish we could work alongside the older people on a service project in the community”.